A very popular product for guardians of newly arrived souls. 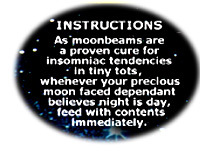 It is manufactured during the hours of darkness in Dream Product's customized glass roofed factory to maximize the quality of moonbeams contained within. 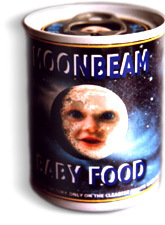 It is recommended that this product is consumed in complete darkness which may require a little practice.